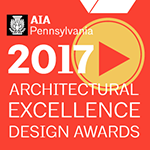 The Pennsylvania chapter of the American Institute of Architects announced its annual Architectural Excellence Design and Special Awards recipients on October 27, 2017. 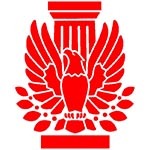 AIA PA selected Greg for its Government Award, given in recognition of significant contributions to, or particular support of, the profession and business of architecture and/or the built environment. 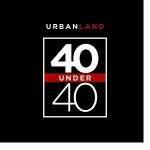 On October 25, 2016 Greg was selected as one of the 2016 winners of Urban Land Institute’s 40 Under 40 competition, which recognizes the best and brightest young land use professionals from around the globe. “This elite group presents the innovators who are shaping the future of our global cities,” said ULI Global Chief Executive Officer Patrick L. Phillips. “They are the influential leaders who both embrace the best practices in land use and think outside the box to drive positive change in the built environment.” View Greg’s 40 Under 40 profile here. On May 19, 2016 as part of the American Institute of Architects national convention, Greg gave a bus tour of social impact development in Philadelphia. The tour included Neighborhood Time Exchange, Parkside and Please Touch Museum, Paseo Verde Apartments, El Corazon Cultural Center, Pan American Academy Charter School, Oxford Mills, Stephen and Sandra Sheller 11th Street Family Health Services and JBJ Soul Homes projects. Participants gained an understanding of how the featured mission-based, social-impact projects were designed, developed, and implemented—and how they’ve positively impacted communities struggling with poverty and economic distress. View the tour map and brochure. 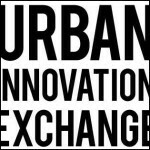 Greg is honored to be named an Urban Innovator by Urban Innovation Exchange (UIX)! UIX is an initiative to advance the growing movement of people leading change in cities. 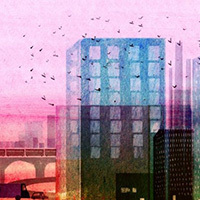 Launched in 2012 as a three-year project in Detroit funded by the John S. and James L. Knight Foundation, UIX is now widening its lens to showcase catalytic talent transforming cities and neighborhoods across America. National partners include Meeting of the Minds, The Kresge Foundation, Issue Media Group, Tumml, and Kiva Zip. 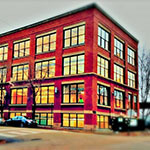 Greg published an op-ed in Next City: Across the country there is a small sub-sector of nonprofits, community developers and socially conscious private developers working to build important assets that focus on social impact — improving people’s lives and making our communities stronger and more prosperous. I call it “impact development” — and it deserves more attention. Read the op-ed. 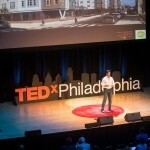 On June 11, 2015 Greg was a speaker at TEDx Philadelphia. The daylong multidisciplinary conference brought together 14 engaging speakers, performers, and participants to explore issues of access and equity, spark conversations that matter, and showcase great ideas for building more just cities. Greg spoke about how social-impact real estate can shape our communities and cities. 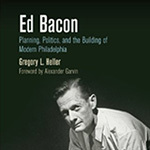 Greg authored the first biography of Ed Bacon, published by University of Pennsylvania Press in 2013. The book received an Honorable Mention in 2013 from the Lewis Mumford Prize, and was reviewed in local and national publications including New Republic and Architect. As director of the Philadelphia City Planning Commission, Bacon forged new approaches to neighborhood development and elevated Philadelphia’s image to the level of great world cities. Edmund Bacon is remembered as a larger-than-life personality, but in Heller’s detailed account, his successes owed as much to his savvy negotiation of city politics and the pragmatic particulars of his vision. Greg proudly serves on the board of Families Forward Philadelphia–the city’s largest family homeless services organization. Greg has served on the board for eight years including two years as Chairman and one as Treasurer. Families Forward operates the city’s largest privately run shelter with sixty-nine (69) private, family units at our residential facility and also supporting eighty (80) families in transitional and permanent family residential units throughout West Philadelphia. Families Forward is one of the few agencies in Philadelphia capable of housing the entire family, allowing both parents to be with their children during this time of crisis, and specifically designing programs to accept larger families and families with more acute issues.